Hi there! 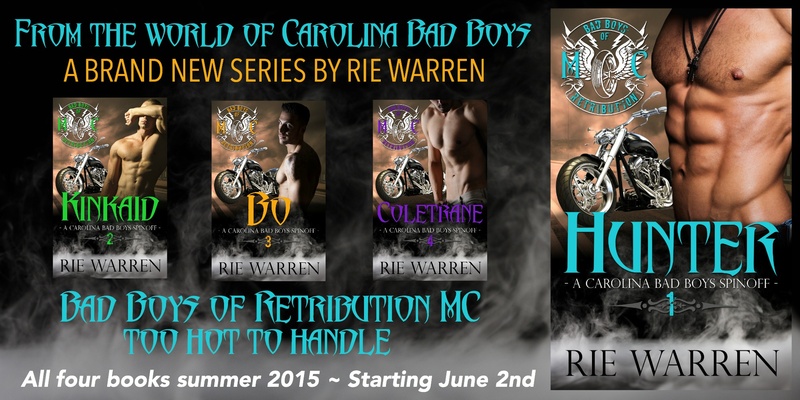 Today I’m sharing my review for BO, the third Retribution MC novella from Rie Warren. I’ve been keeping up with her Carolina Bad Boys series with STONE, LOVE and STEELE, and her bikers: HUNTER and KINKAID, but BO is different. He’s a recent vet, suffering PTSD, with a few friends who do him more than one solid. This is the third book in the Retribution MC series but can be read as a standalone. Unfortunately for Bo, V is the sexiest woman he’s seen in a long, long time. How can he confess his horrors while sporting a hard-on? Clearly the only thing to do is avoid his sessions, which only draws Dr. Hartley to seek Bo in his personal training studio…. The attraction is fast and fierce, but Veronica backs off, referring Bo to a colleague. 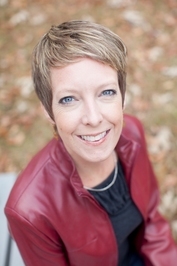 Once she feels she’s given him some time to heal, she’s back–and this time with out the conflict-of-interest. Veronica still counsels Bo, but as a friend and lover, helping him to move past his survivor’s guilt and make contact with his family. But V has a big secret of her own, one revealed in her love of motorrcycles, her giant tattoo and her handiness with a blade. If Bo wants to spend his life loving the woman who helped him heal, he’s gonna have to get her out of a very dangerous situation. I liked Bo. He’s a stand-up guy with a desire to work past his tragic past. V is a good match, never letting Bo get too much of the upper hand. Her lack of history and family is mystifying–at first. Both Bo and V are lonely, and find solace with each other, which is nice. I wasn’t expecting the grisly turn things took, however. It was fun to see all the Retribution guys out on rescue detail, and for Bo to get support from his few surviving Marine pals. If you are expecting a sweet story, this isn’t it–but it does have a lot of intensity and two characters that you’ll be rooting for from the first page. Interested? You can find BO on Goodreads and Amazon. The final book in this series, COLETRANE, drops next month. Pre-order it here.